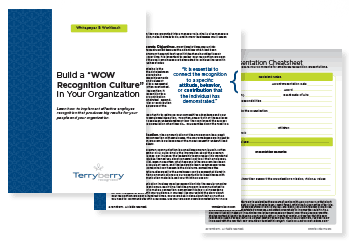 Terryberry’s research center helps HR professionals and business leaders stay up-to-date on the latest employee recognition research that affects today’s businesses. 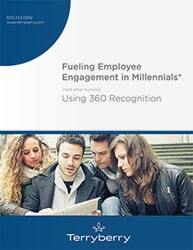 Learn about best practices for recognizing employees with these informative whitepapers and research tools. Nearly all organizations run incentive programs to reward top performing employees from time to time. 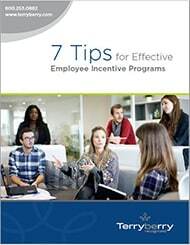 But not all employee incentive programs achieve the best results. When designing employee incentive programs, this checklist will provide guidelines to help achieve a positive impact on performance. Create an environment in your workplace where employees can Be Well, through improved health, well-being, and quality of life. 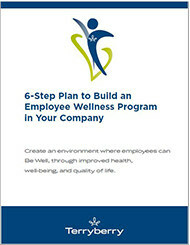 This 6-step plan will help you through the steps to develop your employee wellness program. 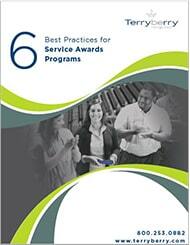 Get 6 best practices service awards programs to recognize employees’ anniversaries. This whitepaper will help you with important guidelines to consider when developing a new program and ideas for keeping an existing program fresh. Is employee recognition effective? How are companies using it? What makes it work better? Find out in this Whitepaper. 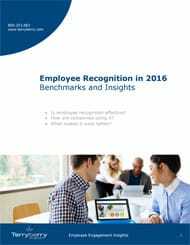 Learn best practices for service awards, peer-to-peer recognition, and successful employee awards in this whitepaper. 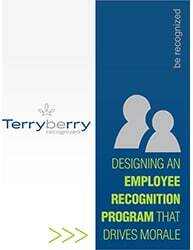 Join other HR leaders by participating in this survey on employee recognition practices. Take the survey and see how your results compare with other businesses.